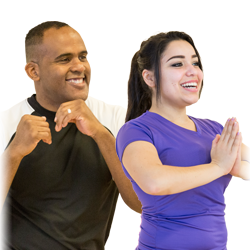 If you feel like you benefit more from a structured workout, enjoy guidance during exercise, or just want to be challenged, consider signing up for a group exercise class. The SRC has a variety of classes to meet your workout needs and help you to achieve your fitness goals. 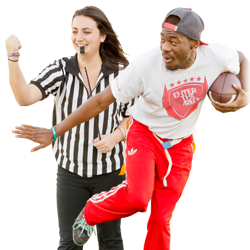 Intramural Sports offer students a variety of sports to compete in against other students at CSUN. This provides students who don’t compete on a collegiate level, the opportunity to play sports, compete against others, exercise, and have fun! See below for the list of available sports or for sign-up information. The SRC has an aquatic program that includes swimming lessons, aqua aerobics, open recreation, lap swimming and many more new and exciting programs. The Sport Club program at CSUN is more than pure competition. It provides students with opportunities to develop academic and interpersonal skills as well as athletic achievement. 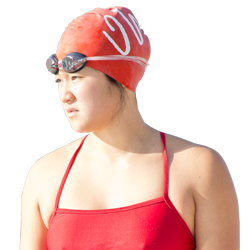 The program allows competition with amateur sport clubs and structured events with other universities at multiple competition levels in a variety of sports. Sport Clubs’ goal is to offer a competitive outlet and social opportunities to all students who wish to participate. Everyone who participates is sure to gain valuable experience in teamwork, perseverance, organization, leadership and essential skills for future success in their personal and professional life. The SRC offers a variety of open recreation activities. 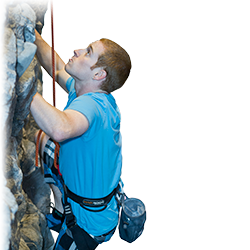 Members can participate in basketball, racquetball, fitness training, jogging/walking, recreational and lap swimming, table tennis and rock wall bouldering during operational hours of the SRC. 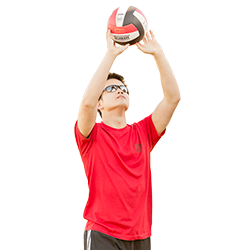 The schedule for activities that require additional equipment and staffing such as badminton, rock wall climbing, volleyball, indoor soccer and floor hockey can be viewed by selecting the link below. Please note all open recreation activities are subject to change and special event scheduling. Serve up a game with some friends in our air-conditioned racquetball court. Reservations can be made 24 hours in advance by contacting the Membership Services Desk. Knock out your fitness goals with the Boxing Training Program! The program is designed to assist SRC members who are interested in participating in boxing as an alternative workout. With the supervision and guidance of our in-house Boxing Fitness Assistants (BFA), members will learn various boxing techniques and drills in a safe and controlled environment. Whether you are new to boxing or more advanced, the Boxing Training Program is a great alternative full body workout. 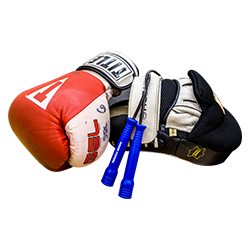 Members who wish to participate in the Boxing Training Program must sign up at the Fitness Assistant Desk in the Total Training Zone. Hand wraps are required and can be purchased at the Pro Shop. If this is your first time, you’ll need to complete an orientation and sign a waiver before beginning. 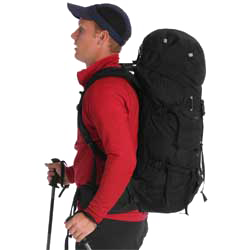 Outdoor Adventures offers an opportunity to tackle the outdoors in a variety of recreational activities including hiking, rock climbing, backpacking, camping, and kayaking. In addition to having a wonderful time in the great outdoors, you will learn how to navigate your natural surroundings with safety and develop a deeper appreciation for wildlife. Come test your limits and see if you’ve got what it takes to make it to the top of the 46 ft 6 in Ridge Rock Wall!